Christopher Plummer left town a few days ago, signalling the coming end of Stratford's sixtieth season. 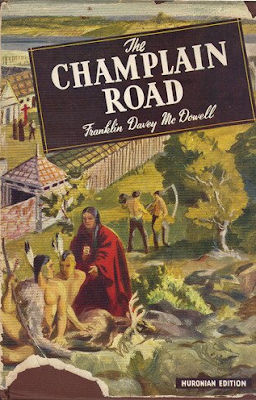 Oh, the shows will go on – some for two more months – but the crowds will thin, temperatures will fall, and the ladies will begin wearing shawls and wraps. It's my favourite part of the season. 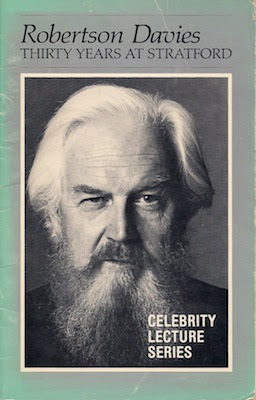 Delivered thirty years ago yesterday, the day after the great man's 69th birthday, this lecture is a souvenir of a familiar time – one in which the festival was fighting for funds, and against declining ticket sales. 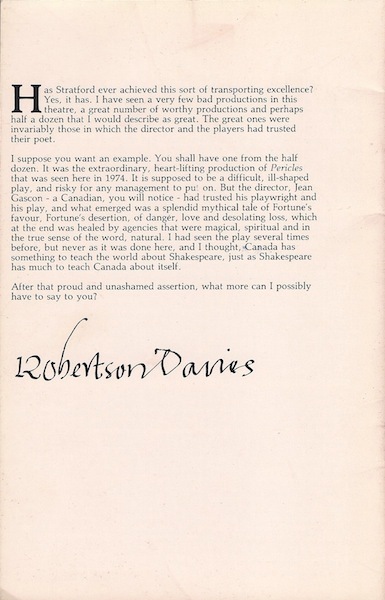 Be not deceived by its title, this not a history – "Shakespeare has reminded us in many passages of the tediousness of the oft-told tale", Davies tells us – rather it's an attempt to properly place the festival within the history of Canadian theatre. 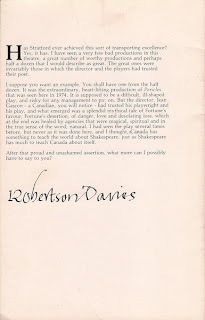 I ramble a bit, but then so does Davies. 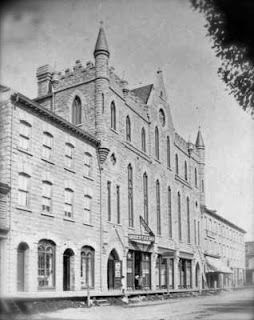 The Festival Theatre crowd that night was treated to the raising of the ghost of Sarah Bernhardt, a tender tickling and ribbing of puritans, and the drawing of parallels between Beautiful Joe, Little Lord Fauntleroy and E.T. I'd have fallen off my seat. Of course, the story of the very long chance that at last romps home with the prize is one of the best stories in the world, but insofar as it applies to Stratford, you have heard it. Yes. Yes, I have. As those ladies in shawls age, and I find my middle-aged self counted amongst the youngest patrons, I wonder if it isn't time to let the younger generation in on it. 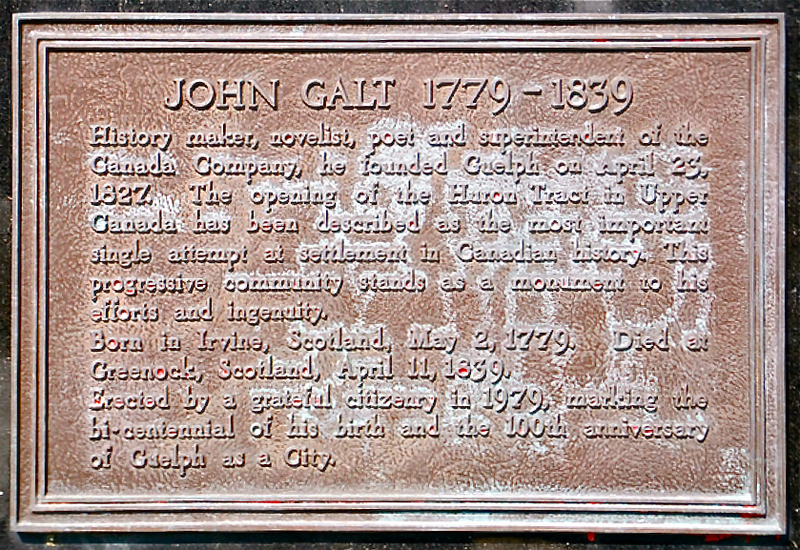 A personal note: "Canada has had a theatre ever since it had good-sized towns," writes Davies, "and it says something about our ancestors – something we often forget – that they regarded a theatre as a necessary part of a good-sized town." It's a mere fine-minute stroll from the inn at which Plummer stays when he plays Stratford. Object: Sixteen glossy staple-bound pages with card covers. 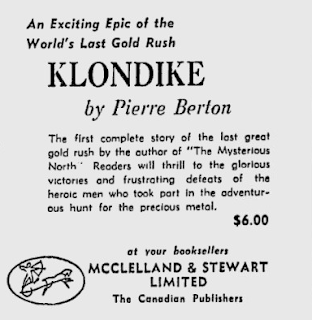 I purchased my sun-bleached copy for $1.50 last year in Montreal. 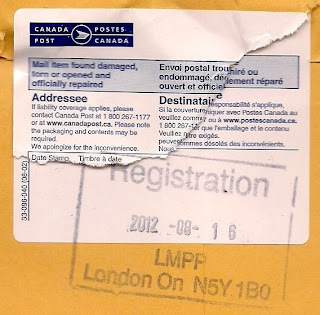 A festival price sticker indicates that it originally sold for $2.50. Believe me, you can tell. 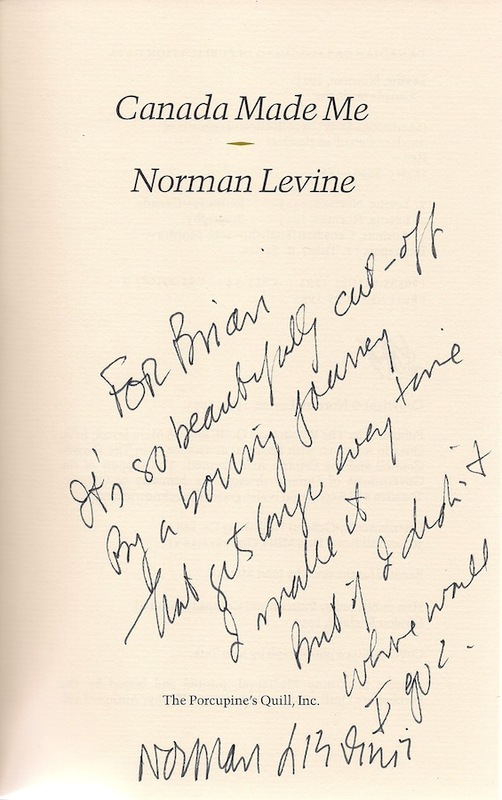 A collector writes today in response to my column in the new Norman Levine issue of Canadian Notes & Queries: "You mentioned that you asked Levine if you could use one of his stories in an anthology. 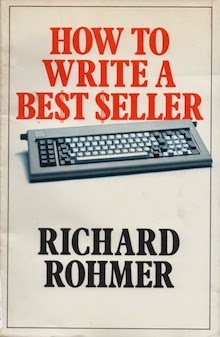 Was it ever published?" Indeed it was. The story in question, "My Karsh Picture" was included in Classics Canada, Book 2 (Prentice-Hall Canada, 1994), the second of six ESL textbooks I co-edited with Patricia Brock. 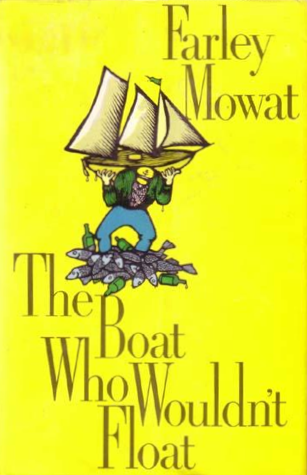 Looking it over all these years later, I see that the story appears between Daniel David Moses' "King of the Raft" and "April Fish" by Mavis Gallant; selections by Margaret Atwood, Robertson Davies, Irving Layton, bonnet-babe Susanna Moodie and a bunch of other CanLit names also feature. 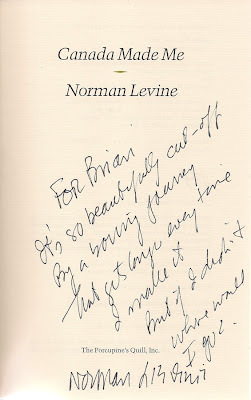 Must admit that despite my great admiration and appreciation, I've never really collected Levine's work myself. 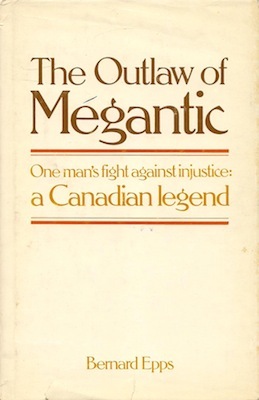 I have only five of his books, my favourite being a copy of the Porcupine's Quill Canada Made Me, which he inscribed nineteen years ago at Westmount's Double Hook Bookstore. 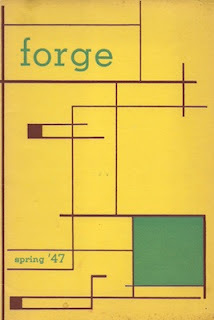 My most cherished Levine items are those I inherited from my father: the 1947 and 1948 issues of Forge, McGill's University's literary magazine. 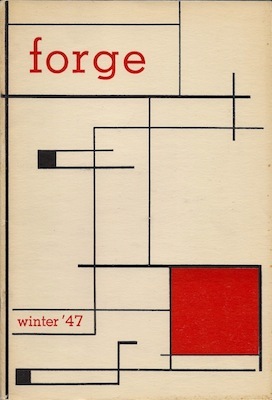 These three issues feature some of Levine's earliest published work, most of it uncollected: the poems "Myssium", "Circles", "It Was a Dull Day", "Autumn" and "A Dead Airman Speaks"; the short story "Our Life is to Be Envied"; and "Prologue", which would today be described as creative non-fiction. Levine served as Poetry Editor in the 1947 issues and was elevated to Editor for the lone 1948 number. 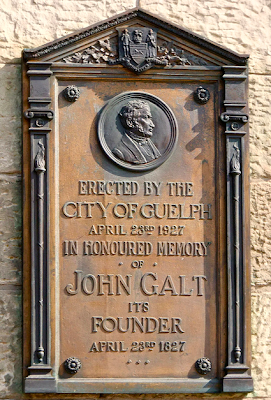 He and my father attended McGill at the same time and were in the same faculty and graduating class. I don't know that they ever encountered one another. I like to think so. Both R.C.A.F. vets, they had a good deal in common. 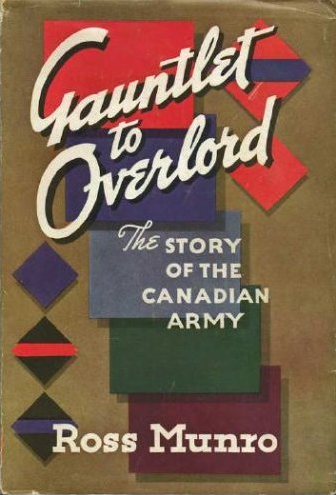 Jack McClelland never tried to hide his dislike for Norman Levine's Canada Made Me; that his house acted as Canadian distributor was the result of an early promise made to its UK publisher. 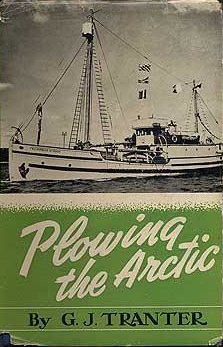 McClelland & Stewart took 500 copies, shipped 300, sent a further thirty or so out as review copies and sat back. There were no ads. 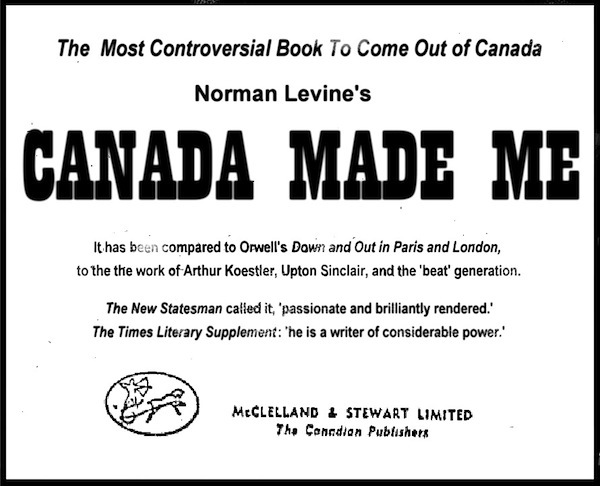 Writes Levine: "Do you mind me suggesting the kind of ad I'd like to see appear in those Canadian papers." 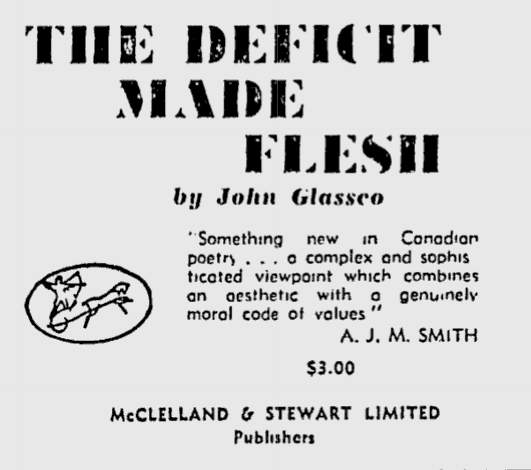 Astrid followed Levine's text and rough layout, all the while considering these McClelland & Stewart ads from 1958... four decades before she was born. More in the new issue of Canadian Notes & Queries. 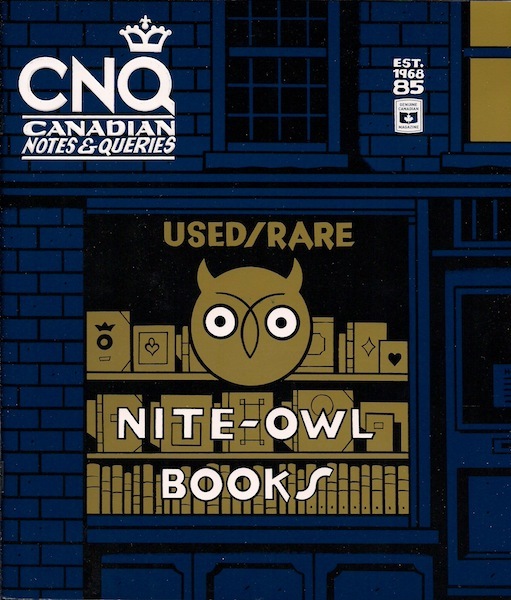 The new issue of Canadian Notes & Queries landed in my mail box on Friday – a few days late owing, I suspect, to an ill-tempered sorting machine. My heart sank... until I discovered that everything had arrived intact. 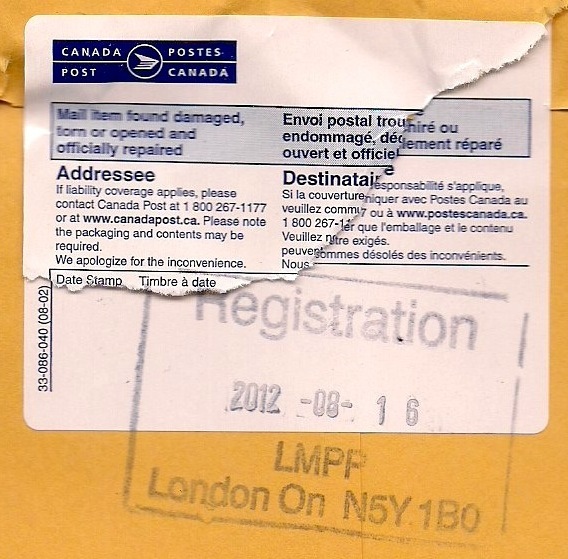 Now I boast: "officially repaired". How special is that! "Kaddish (A Sketch Towards a Portrait of Norman Levine)"
Ethan Rilly's adaptation of Canada Made Me, episode six in his "The North Wing: Selections from the Lost Library of CanLit Graphic Novels"
Much more modest, my contribution covers correspondence between Levine, Jack McClelland and Putnum's John Huntington relating to Canada Made Me. Further riches are found in a new short story by Lynn Coady, poetry by Mathew Henderson and a piece of creative non-fiction by my old pal Andrew Steinmetz. You'll also find my review of Fraser Sutherland's Lost Passport: The Life and Words of Edward Lacey. 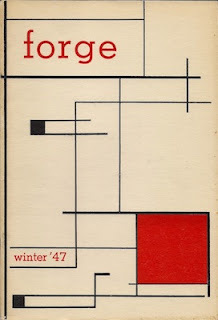 And finally, there's this issue's limited edition collectable, Signal to Noise, an excerpt from C.P. Boyko's forthcoming collection Psychology and Other Stories. My copy is number 159. The collectables are only for those with subscriptions. Montreal's beloved Alpha Jerks – Dan Babineau, Thomas Bachelder, James Malloch and novelist manqué Daniel Richler – caught on film as "The Eatables", from the 1980 Alison Burns' film of the same name. 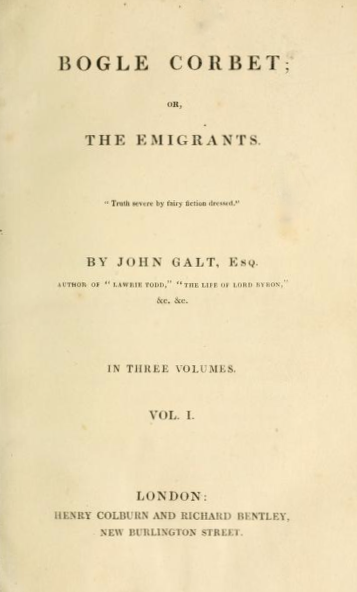 Well, didn't this turn out to be a timely read. A short novel, Le nom dans le Bronze seems at first a light and pleasant love story. Our heroine, Marguerite Couillard, is the youngest daughter of a bourgeois family in the Quebec town of Sorel. 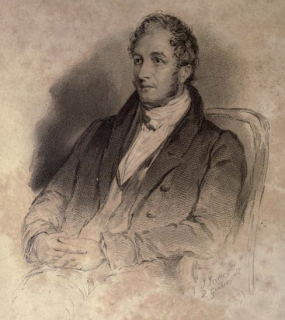 Steven Bayle, the object of her affection, doesn't quite qualify as our hero, but he's not a villain either. Frankly, he's a pretty swell guy and a bit of a catch; even for Marguerite. 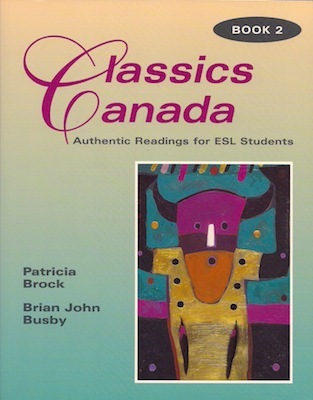 Though an anglophone, Steven appears entirely at home in French Canadian society; were it not for his pesky Protestant faith one might even consider him assimilated. However, as their love grows, storm clouds gather in the ciel lourd that opens the novel. Family and community shudder at the possibility of a "marriage mixte", pressing upon Marguerite "la différence de sang et la disparité de religion". An intervention disguised as an invitation to visit friends in Quebec City brings an abrupt change in genre. 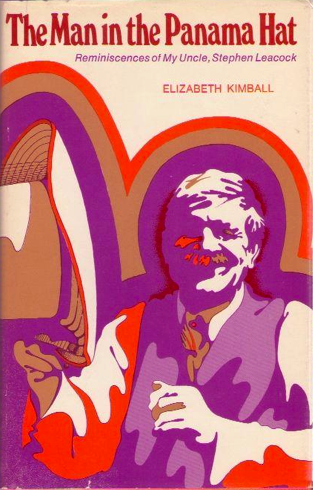 What began as a romance novel becomes a Micheline guide, with Marguerite taking in the sights as friend Philippe fills her in on the history of the city, the province and her own family. "Il y avait à Québec deux générations de Couillard, quand on construisit cette chapelle", he says before the church of Notre-Dame-des-Victoires, so named after the respective defeats of Englishmen William Phips and Hovenden Walker. "Mais en 1759, l'ère des Victoires était passée et la chapelle fut incendiée par les bombes de Wolfe. Ce sont encore les mêmes murs, toutefois..."
The pressure put on Marguerite is relentless and none too subtle. "Rien n'est plus affaiblissant pour notre peuple que ces marriages mixtes", she's told by her father. 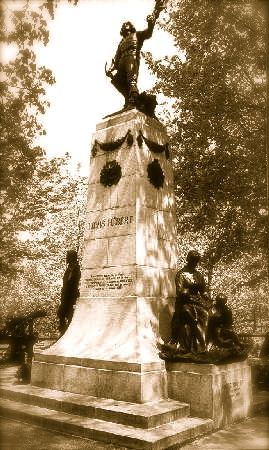 "Justement ce matin, je m'irritais de constater combien des nôtres, pendant la guerre, ont épousé des Anglaises d'outre-mer..."
The coup de grâce comes when Marguerite is taken to see the statue of Louis Hébert, and its plaque bearing the names of Quebec's earliest settlers. She not only learns that she is a decedent, but sees that she bears the same name – Marguerite Couillard – as one of her ancestors. 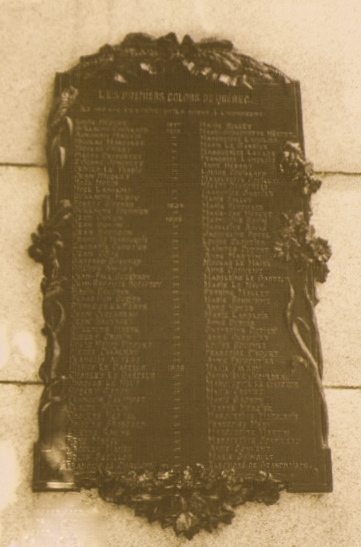 Le nom dans le bronze. Says Philippe, "Marguerite, épousez un homme au nom aussi respectable, et appelez votre premier fils: Couillard..."
And Bayle? Really, how respectable is that? Their love is doomed. Sacrifices must be made for one's "race". Le Nom dans le bronze is a work from a different time. Times change, but we see remnants in the chronic xenophobia that plagues Pauline Marois' efforts to become the next premier of Quebec. Surrounded, as she is, by her base, she cannot see that her words alienate more than just those she considers les autres. And so, we have an election in which a scandal-ridden, disgraced and very tired Liberal government is still in contention. What Ms Marois fails to recognize is that her brand of bigoted, frightened nationalism began dying decades ago, and that a much younger, more confident generation – what Chantal Hébert astutely refers to as "the Arcade Fire generation" – want nothing to do with her kind. 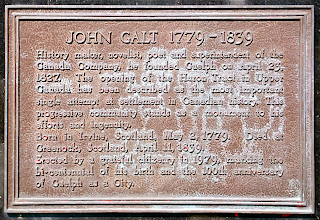 Trivia: The name "Marguerite Couillard" really does feature on the plaque in question (though, sadly, it can't be made out in this image). 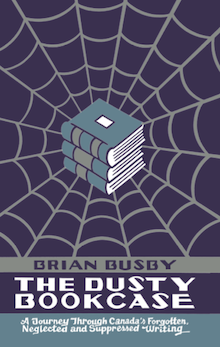 Object: Rather bland paper wraps cover what is an otherwise attractive book. 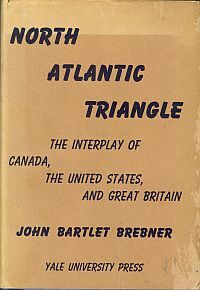 My first edition copy was bought last year from a bookseller in the village of St-Malachie, some 50 kilometres south-east of Quebec City. 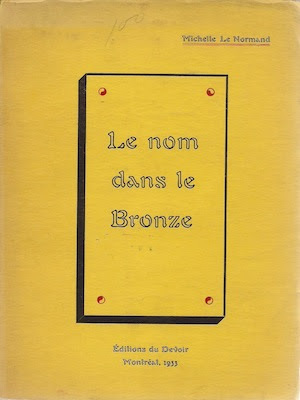 Access: Though reprinted no less than three times in the 'fifties, Le Nom dans le bronze is surprisingly hard to come by. 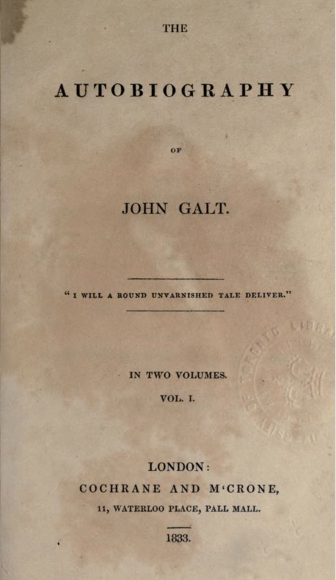 Four copies are currently listed for sale online, only one of which is a first edition. 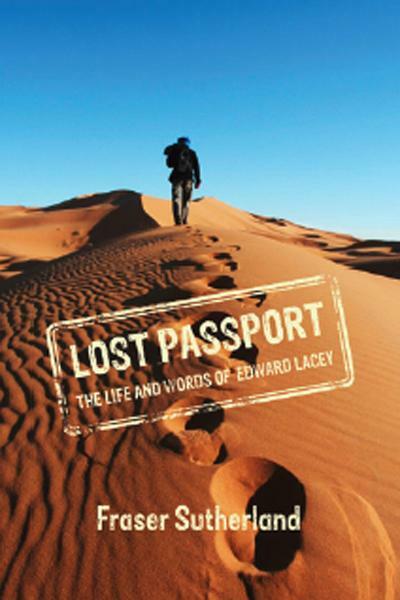 Leather-bound, signed, inscribed and dated, this is the one to buy – a bargain at US$97.75. 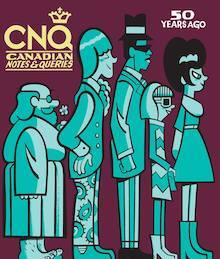 Canada's 100 Best Books? 102? 111? The headline in the Citizen is deceiving. Yes, it's meant to be a list of the 100 best, but there are eleven too many. Most of the overrun comes courtesy of Mazo de la Roche's Whiteoak Chronicles, which then numbered ten volumes. The others? Well, one might just be Tom MacInnes' Collected Poems, which doesn't exist. As I say, odd and awkward. William Osler didn't write The Master Word, but he was the author of The Master-Word in Medicine; Joseph Schull's The Legend of Ghost Lagoon is listed as The Legend of Lost Lagoon; and poor B.K. Sandwell suffers the indignity of being called B.S. Sandwell. 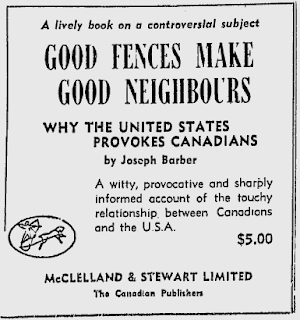 "A list of Canadian books of special merit written in French is also to be compiled by a similar committee", we're told. By whom? Who knows. 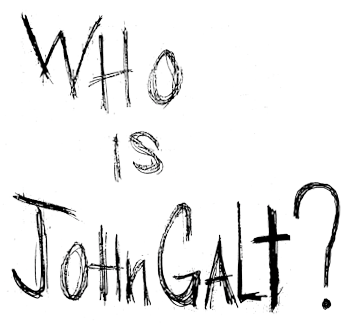 I find no trace of the committee or its list. 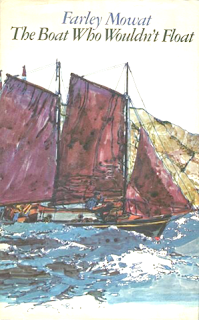 What we're to make of the inclusion of Pierre Esprit Radisson's Voyages – recorded as Voyages of Peter Esprit Radisson – on the English-language list I cannot say. * "At the close of the Second World War, the Russians took a leading part, along with 'capitalist imperialists,' in organizing another League of Nations, the so-called 'United Nations.' and the Communist Party of the U.S.A. joined in a psalm of praise over the new turn in policy." Enough of your fictitious fantasy man. How's this for a set-up? Three or so years ago, screenwriter Al Dufferin and his B-movie actress wife Clare were at a Hollywood party. Al got drunk, leaving Clare at the mercy of a mobster with busy hands. Clare killed the mobster, made the papers, and moved from B to B+. Her star was still rising when she got in a fight with Al and drove her car off a cliff. Was it suicide? Al was too boozed up to notice. 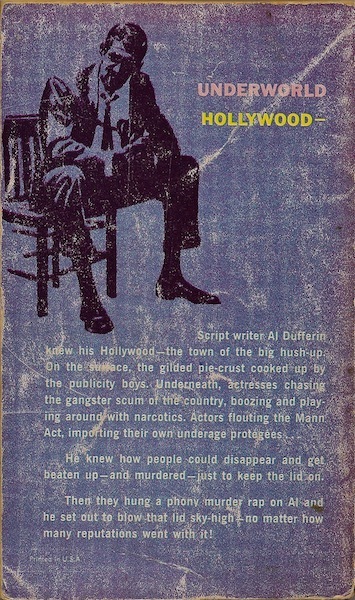 Hollywood hated Al for his role in Clare's death. He left town, hit the bottle even more, and ended up going from drunk tank to bug house in New York City. 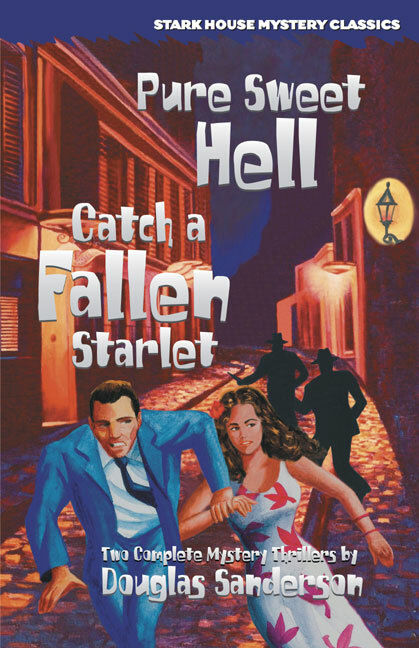 Catch a Fallen Starlet opens with the Al's return to Hollywood. He'll tell you he's back to see the son he left with his sister and her husband, but really he doesn't much care. Truth be told, Al's back to redeem his name. 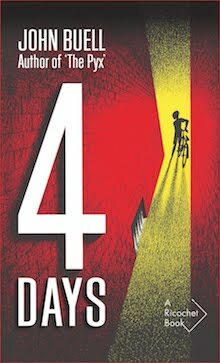 He knows that in this town a hit will take you from hated to hero, and everyone will forget about Clare. Before you know it he's approached by aging matinee idol Barry Kevin to write an epic that has studio backing. The money is good – too good, really – and Al comes away with the gig and a list of cast members. That evening, as he sets to work on the screenplay, Al takes a look at the cast list and finds that its in his dead wife's handwriting. We're now at page 25, with 132 to go. 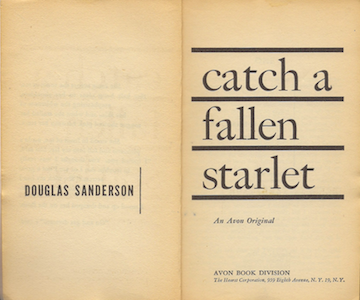 Fast-paced from beginning to end, it says much about Douglas Sanderson's talent that Catch a Fallen Starlet never seems rushed or lacking in atmosphere. Here Al drains a bottle of Scotch at bar while a group of baggy-sweatered beatniks talk in the nearby booth. They were discussing without emotion last night's experience with last night's chick on last night's borrowed pad. 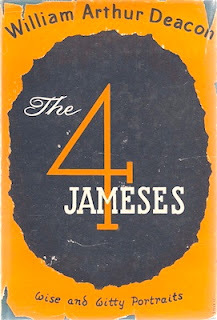 A bunch of little Huysmans without the sophistication. The semiconscious fabricating a self-conscious world to live in. Two were calling one another sweet and darling. One said, "My little marrowbone." Without emotion. I envied them. The main attraction had yet to arrive. The crowd filled in the interim as best it could. Families sat on tombstones and finished box lunches. Those with less foresight paid inflation prices for nuts and popcorn from opportunists with trays. A Good Humor man arrived and was deluged by children. Three other men with mournful faces hawked black-edged photographs of Barry Kevin in period costume – hand raised in gay farewell – superimposed on pictures of the chapel. I gave up a bit of a spoiler there, so will cut this short before ruining things entirely. 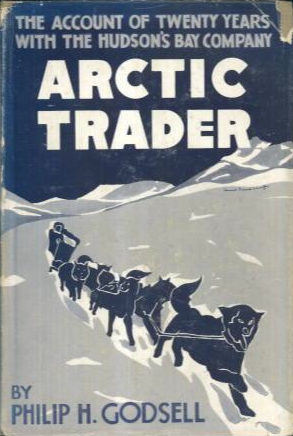 If by chance you spot this book, grab it; of the five Sandersons I've read, it's surpassed only by Hot Freeze. Finally, to nonbelievers who see the influence of Messrs Waugh or West, I ask: Is it really possible to write a Hollywood novel that isn't cynical? 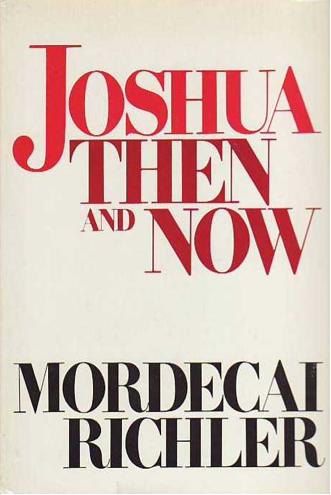 Mystery: Both the French and Italian translations give the original as The Stubborn Unlaid, but no edition exists under that title. 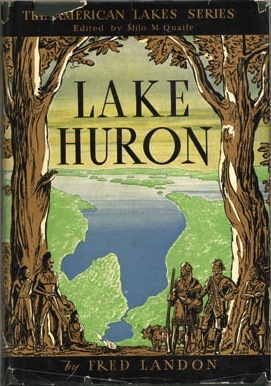 Our man in Los Angeles Kevin Burton Smith suggests that Avon changed the title while the translations were at press... that or Sanderson was playing fast and loose with foreign language rights. 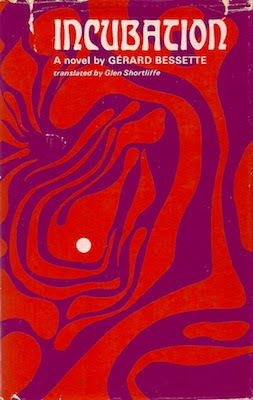 Both translation were published under his "Martin Brett" pseudonym. ...they hung a phony murder rap on Al and he set out to blow that lid sky-high – no matter how many reputations went with it! In fact, there is no murder rap, phony or otherwise. 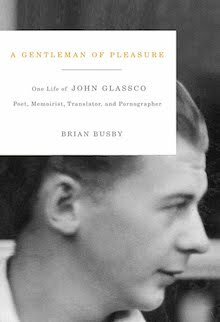 Access: Five Very Good and Near Fine copies are currently listed online, ranging in price from US$10 to US$22. Ignore the bookseller offering a Near Fine US$50. 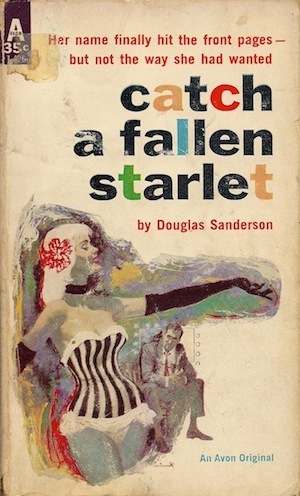 Out of print for more than four decades, in 2004 Stark House reissued Catch a Fallen Starlet with Sanderson's other 1960 novel Pure Sweet Hell. Not quite as pretty a package as the Avon first, but it is built to last and includes essays by the author's son and Kevin Burton Smith. Library and Archives Canada aside, I can't find a single Canadian library that has either edition. 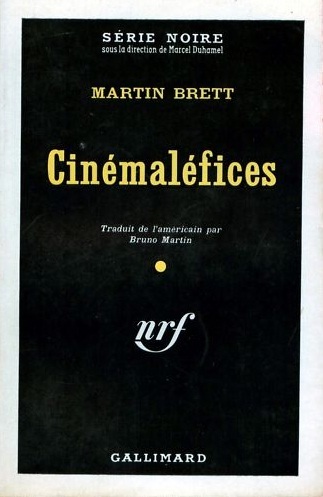 The French translation, Cinémaléfices, was published in 1960 by Gallimard as part of its Série noire. Canadian library patrons appear to be completely out of luck on this one. 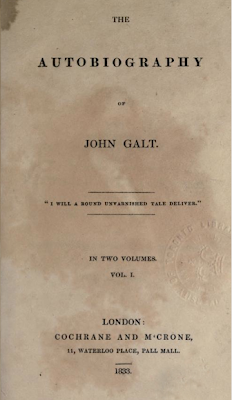 One lonely copy of the Italian translation, Cast di Morte (Milan: Edizioni Giumar, n.d.) is listed for sale online. Price: €22. 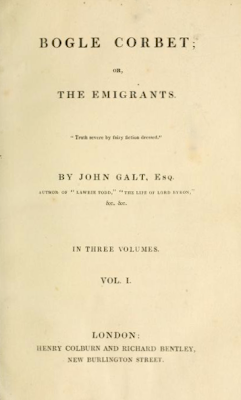 There's not a library copy in sight. William Arthur Deacon, as pictured on the back cover of the 1953 Ryerson edition of The Four Jameses. I don't know that Victor Moscoso or Stanley Mouse had anything to do with that early cover, but they certainly deserve some credit. From the Summer of Love through the first dozen seasons that followed, Macmillan and rival McClelland & Stewart look to have been caught up in a psychedelic grove that embraced the most unlikely of authors. I'm thinking here of old folks like Stephen Leacock, social conservative and staunch Conservative, who died thirteen years before the word "psychedelic" was even coined. 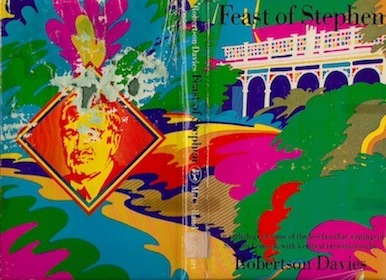 I've said it before and I'll say it again, the David John Shaw cover above looks like it might've graced Joe Rosenblatt's The LSD Leacock (Toronto: Coach House, 1966). 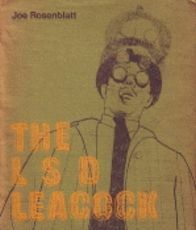 Even writings about Leacock bring the Merry Pranksters to mind. 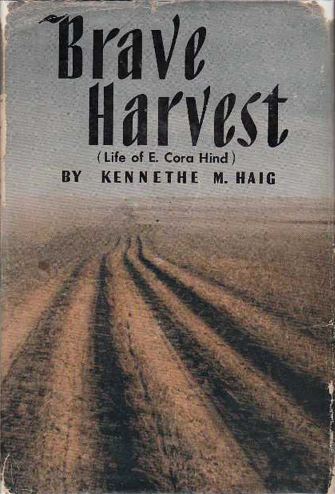 ...and the staid first British edition, published by Heinemann in swinging London. 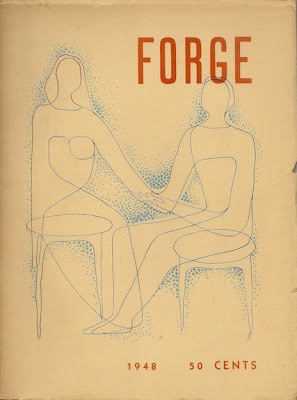 Next to Pilgarlic the Death, my favourite cover of those heady times was drawn by an anonymous hand for Gérard Bessette's Incubation (Macmillan, 1967). 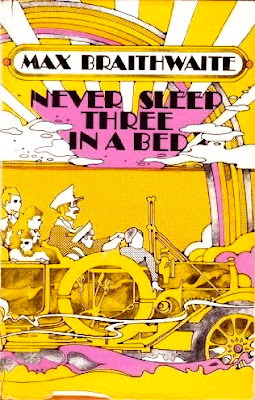 But I don't think there's a greater example of this short-lived trend than McClelland & Stewart's 1969 cover for Never Sleep Three in a Bed, Max Braithwaite's boyhood memoir. Here we see the author's father, George Braithwaite, driving the family car into Pepperland. That sun on the cover is setting. The new day and new decade would be less colourful. Macmillan was still capable creativity, while M&S decended into what I refer to as "The Letraset Years"
... about which, the less said the better.